When Do I Replace My Garage Door Springs? Okay, obviously if one of them snaps and attempts to murder you and your car, that is a good time. It might be wise to replace your garage door springs prior to such an incident. So the question is, when is that? Garage door spring repair is possible but not terribly common. Which brings us to the next question. A question that should be asked before asking when to replace them. 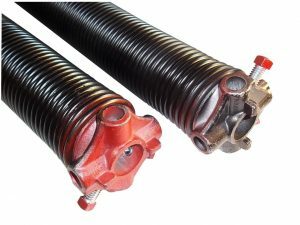 What Is & Where Is A Garage Door Spring Located? First of all, there are two types of garage door springs. One is called a Torsion Spring and the other is called an Extension String. They are not terribly different so we won’t go into those specifics. The real difference is where they are located. Most of them are located above the garage door frame. However, sometimes they are in the rear of your garage. This is generally the case in older homes. Another fun fact is that the lightest garage door on the market is still eighty pounds. Most are well over that mark. Which is why we need garage door springs in the first place. They counteract the weight of your garage door, making it easier to open manually and by a garage door opener. So When Should Garage Door Springs Be Replaced? First, let’s just go over the fact that these are heavy duty metal springs. 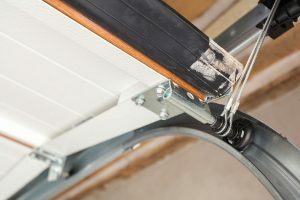 While garage door spring repair is a thing, it is not an easy thing. If they are bent then they are probably shot. Which is your first clue? If your garage door springs literally look off, rusted, broken or damaged in any way, it is time to replace them. The next big clue is sound. Garage doors do make some noise but are not meant to make a lot of noise. This is especially true if you have one of the newer screw drive garage door openers as they are almost silent. If your garage door is creaking a lot or you hear scraping noises, then there is indeed a problem. Finally, there is how your garage door operates. A garage door that is too slow to move, too quick to move, or doesn’t move at all has a serious problem. Note; at that point, it may or may not be your garage door springs. Never, and we do mean NEVER try to replace your garage door springs yourself. These are heavy pieces of metal that support a lot of weight at all times. If they snap or break in the process they can cause serious injury or even death. Not to mention untold amounts of property damage to your home and vehicles. So give Clarks Garage Door & Gate Repair a call at (213) 769-1370 for new garage door spring installation. We generally will come out the same day. We also offer emergency garage door repair services when you just can’t wait at all. You can also call (213) 769-1370 to ask about Clarks Garage Door & Gate Repair’s new garage door installation services.